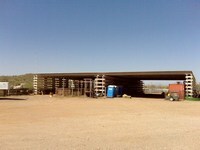 Located in Pinal County in south central Arizona 50 miles southeast of Phoenix. The Headquarters is approximately 17 miles northeast of Florence, the Pinal County Seat, and 20 miles southwest of Apache Junction. The Ranch lies approximately two miles south and east of Florence Junction on south side of U.S.Highway 60 and from two to five miles east of State Route 79. 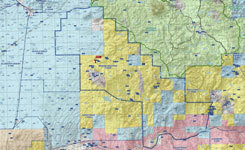 The Headquarters is accessible by dirt roads approximately 6 miles south of Highway 60, or 6 miles from Highway 79. The LEN Ranch is primarily a mountain ranch with the exception of the State Land Lease in the northwest corner, which consists of long flat topped alluvial ridges,. 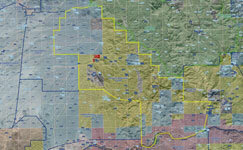 Elevations range from 2050 feet along Highway 60 on the north boundary to 1580 feet along the Gila River on the south boundary. 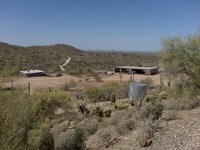 The eastern Ranch boundary basically follows the boundary of the Tonto National Forest with elevations from 3400 to 4200 feet. The elevation at the Headquarters is 2080 feet. 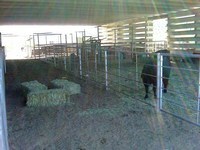 Corral - Approximately 150 ft x 100 ft overall; 6 pens, sorting alley; constructed with Hwy guard rail/pipe cap and bottom rail on pipe posts. Attached to Shop Bldg and water lot. 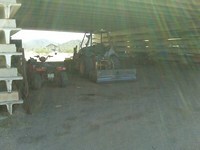 Hay Shed - 450 sq ft; Concrete slab, metal pipe frame, two sides and roof corrugated metal, balance open. Headquarters water by well. 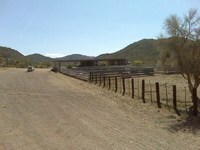 Ranch water provided by wells, springs and dirt tanks. Gila River on south boundary.